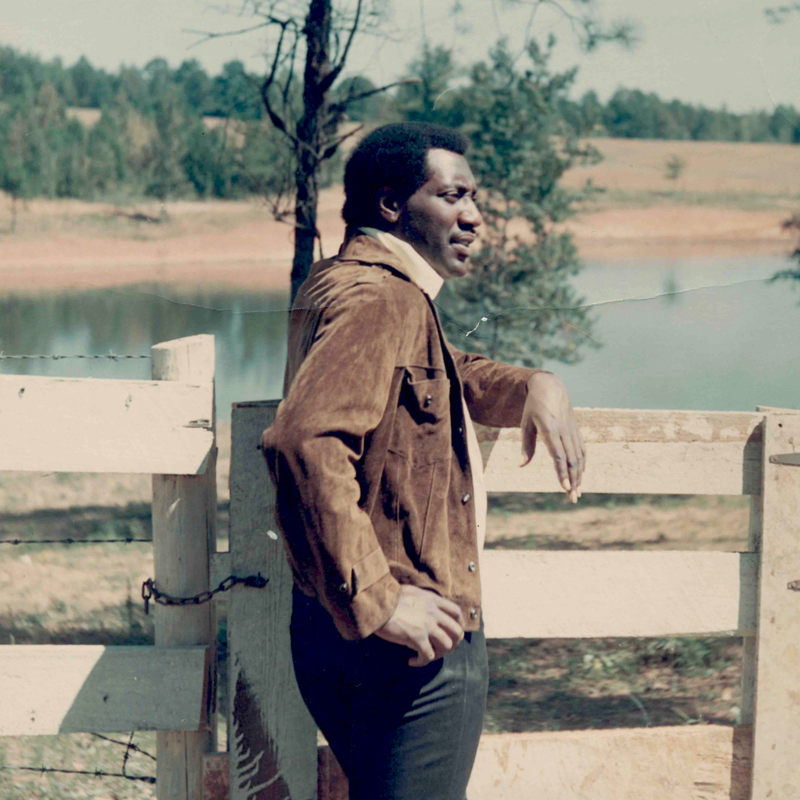 The Redding Family will be joining the world on December 10, 2017 in remembering Otis Redding 50 years after he died tragically in a plane crash at the age of 26. Redding was flying with his band in his twin-engine Beechcraft, when it crashed into Lake Monona in Madison, Wis. that tragic day in 1967. The world lost a great musician and a great man on that day. His music and his legacy, however, live on, with his widow, Zelma Redding, and children (Dexter Redding, Otis Redding III, and Karla Redding-Andrews) keeping the flame burning for generations to come. Zelma and her daughter Karla keep Otis’ dream alive with the Otis Redding Foundation, serving the communities around the state of Georgia and beyond with the finest world-class music and arts education for its youth. Just days before his untimely death, Redding was recording what was to become his most famous song, “(Sittin’ On) The Dock of the Bay,” which was written on a houseboat in Sausalito, Calif. The record was released on January 8, 1968, reaching number one on the Billboard Hot 100 and Hot Rhythm & Blues Singles charts concurrently, and becoming the first posthumous number-one single in U.S. chart history. “(Sittin’ On) The Dock Of The Bay” is the #6 most played song on American radio and television for the 20th century, with over 10 million broadcast performances. The song also has over 100 million streams on Spotify alone, averaging 650,000 streams a week. It received two Grammy® Awards in 1969, for Best R&B Song and Best R&B Vocal Performance. 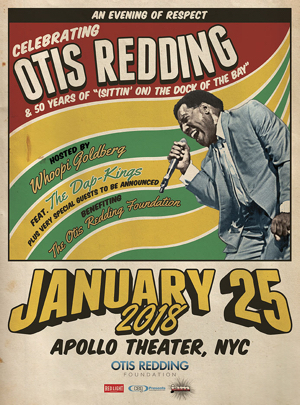 The Redding Estate and Jampol Artist Management are presenting An Evening of Respect: Celebrating Otis Redding & 50 Years of “(Sittin’ On) The Dock Of The Bay” on Thursday, January 25, 2018 at the legendary Apollo Theater in New York City. The benefit show will be hosted by Whoopi Goldberg and feature performances by the Dap-Kings and very special guests. The event will feature a pre-show cocktail reception fundraiser for the Otis Redding Foundation. The concert will feature performances by musicians that Otis both influenced and collaborated with during his legendary career. More artists will be announced in the coming weeks. Tickets are on sale now at Ticketmaster by clicking here.